Here’s a new take on “GTL” with a few reality television favorites. 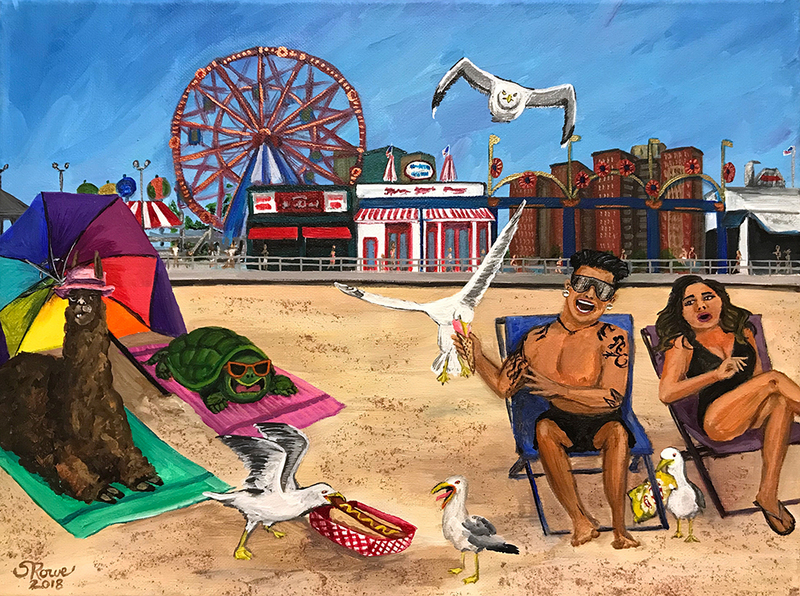 Pauly D and Snooki dodge some hungry gulls on the beach while some familiar characters observe their antics. Part of the Shiny Beautiful Things series, this painting is on canvas measuring 12″ H x 16″ W, unframed but wired to hang, and will bring many a fist pump.